The College of Cross-Cultural and Multidisciplinary Studies has launched new ‘Global Courses’ taught in English for the students attending the university’s Short-Term Exchange Program. 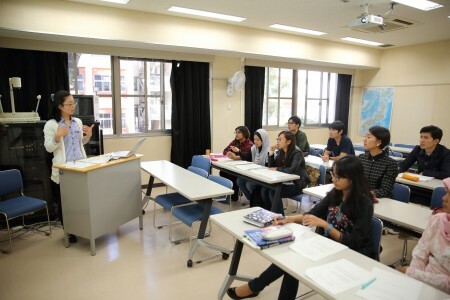 The courses are mostly related to humanities and the social sciences, which enable international students who are not confident enough to earn credits in courses offered in Japanese to understand Japanese society and culture deeply and efficiently, and improve their communication skills through interactions with the classmates from all over the world, including local students. 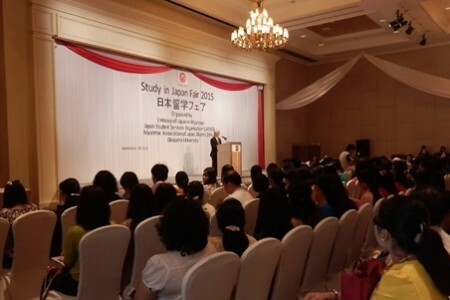 On September 29, the 2015 Japan Study Abroad Fair, sponsored by the Japan Student Services Organization (JASSO), was held in Yangon, Myanmar. This fair was organized to promote studying abroad in Japan and provide information for students in Myanmar so that they may find their way to a fruitful study abroad experience. 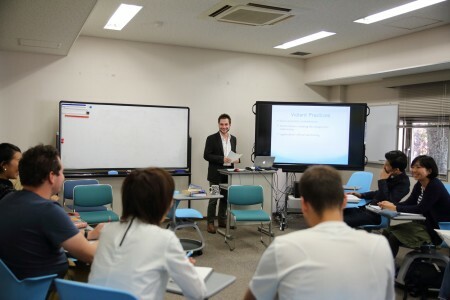 30 educational institutions from Japan (12 national universities and 8 private) participated, along with others. Prospective international students numbered 1,081 for the day, greatly surpassing last year’s attendance record of 707. Throughout the entire venue information was provided about study abroad programs and experiences, and at individual booths, educational institutions provided private consultations and material distribution. 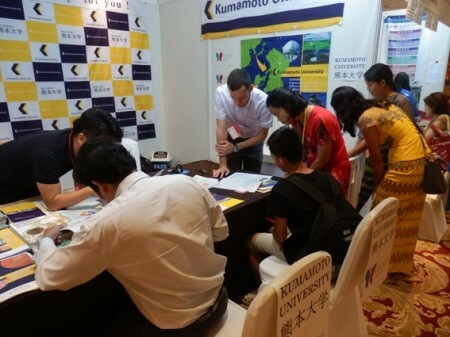 Also, many students visited University booths, where they were introduced to study abroad programs via University websites and official videos on YouTube. At the end of the fair, a lottery was held in which participants had a chance to win items such as T-shirts, provided by participating universities. Through this fair, universities were able to provide the students of Myanmar with motivation for studying abroad in Japan. With this opportunity, improvement of awareness of universities in Myanmar can be expected.